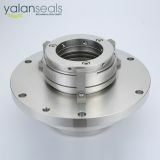 Structural Features: single-end, balanced, multiple springs, independent rotating direction, cartridge mechanical seal. 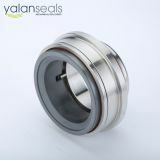 The component is a cartridge seal with easy installation. 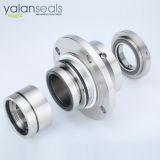 14 springs are positioned evenly into 2 groups and each group has 7 springs. 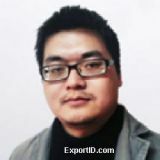 Scopes of Application: mainly used in paper-making equipment and pressure screens (for paper pulp agitation). 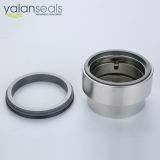 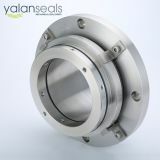 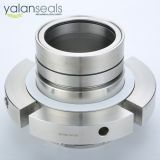 INQUIRY ABOUT SY2008 Mechanical Seals for Paper-making Equipment and Pressure Screens (for paper pulp agitation)Anhui YALAN Seal Component Co., Ltd.